So, the more you develop your style the more you realize it’s about the whole package. Creating a great look isn’t because you have an unlimited budget and can go head-to-toe Valentino all day, erryday. It is because you have a good supply to rely on. Like say- when you need a jacket for a summer ensemble… what’s a girl to wear? 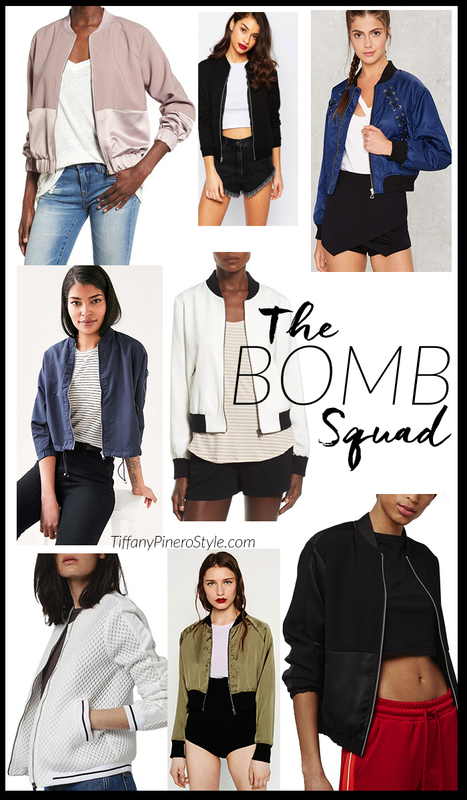 Granted the hot days will more than likely out weigh the cool ones, when the time calls for it; you can be a cool one in a bomber jacket. This silhouette es en fuego! Move over leather jacket- this sporty meets street shape is the newest way to say “ain’t nobody fresher” without making a peep. Toss the revived retro style over a dress for an edgy juxtaposition, add life to a classic tee and jeans, or make a wayyy too saucy bodysuit like I was wearing above, PG-13 😉 There are tons of options out, below are my faves that hit the design and price point in all the right ways. *Note my jacket is from Forever21 and was $32 but is no longer available online. You might be able to still find it in-store! If any of these are a sure-fire winner for you- make sure you share your style when you get it. 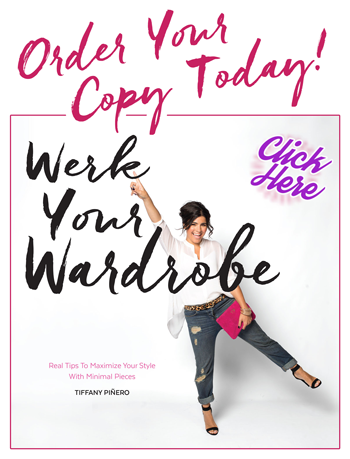 I definitely want to see, share here: @TiffanyPineroStyle on instagram |@TPineroStyle on Twitter | \TiffanyPineroStyleon Facebook!